March 13, 2017 | March 13, 2017 | Robert Hopkins Jr., M.D., a University of Arkansas for Medical Sciences (UAMS) professor and division director, has been appointed to the National Vaccine Advisory Committee of the U.S. Department of Health and Human Services. The committee recommends national vaccine policies to the director of the National Vaccine Program. Hopkins’ four-year term began February 2017. 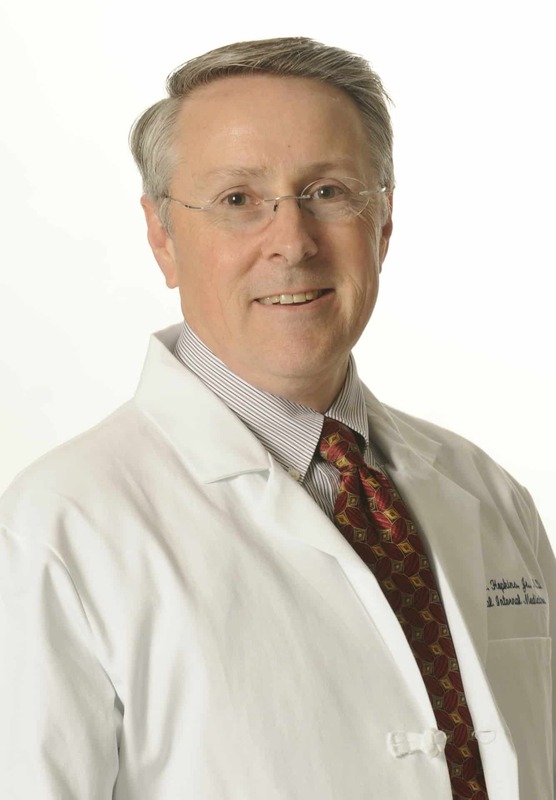 Hopkins is director of the Division of General Internal Medicine in the College of Medicine’s Department of Internal Medicine and sees patients at the Internal Medicine Clinic – South. He teaches in the Pediatrics and Internal Medicine departments. Hopkins has served as director of the Combined Internal Medicine-Pediatrics Residency Program since 2006. He earned his medical degree from the Medical College of Georgia and completed an internship and residency in internal medicine/pediatrics at UAMS. Hopkins has previously served nationally as a member of the National Quality Forum Adult Immunization Committee and was a participant in the Centers for Disease Control and Prevention (CDC) Clinical Decision Support for Immunization II Project. Since 2003, he has served on the Executive Committee of the National Influenza Vaccine Summit, which is co-sponsored by the CDC and the American Medical Association. Hopkins is a member of the Vaccine Medical Advisory Committee for the Arkansas Department of Health and is a nationally known speaker on Adult Immunization Practices. He is a member of numerous professional and medical associations, including the American College of Physicians, Association of Program Directors in Internal Medicine, the Association of Pediatric Program Directors and the American Academy of Pediatrics.